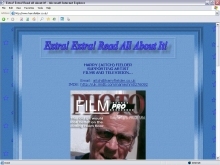 Our websites include the Whirligig British Television and Radio nostalgia sites from the Fifties where we celebrate the decade in all its monochrome glory; the quaintly formal presenters with their clipped English accents, the clunky theatrical dramas, the cosy parlour games, and the first TV adverts with their curiously infectious jingles. Everyone feels some nostalgia for the TV and Radio programmes that they watched and listened to when very young, so here we attempt to bring back to you some of the flavour of TV and Radio from the Fifties. Our British Military Ceremonial website celebrates the custom of Trooping the Colour which dates back to the time of Charles II in the 17th. Century when the Colours of a regiment were used as a rallying point in battle and were therefore trooped in front of the soldiers every day to make sure that every man could recognise those of his own regiment. This impressive display of pageantry is now held on the occasion of the Queen's Official Birthday. It takes place in June each year to celebrate the official Birthday of the Sovereign and is carried out by her personal troops, the Household Division, on Horse Guards Parade, with the Queen herself attending and taking the salute. 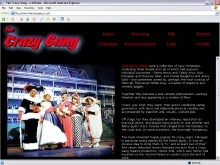 The Crazy Gang were a collection of zany comedians combining three double acts all of which had enjoyed individual successes - Jimmy Nervo and Teddy Knox, Bud Flanagan and Chesney Allen, and Charlie Naughton and Jimmy Gold - and sometimes joined by, perhaps the most comical of them all, 'Monsewer' Eddie Gray, a master of slapstick and comedy juggler. 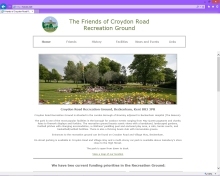 Together they became a real comedy phenomenon and our tribute website details the Gang members and provides information about the shows and films in which they appeared..
We have also completed websites for TV and movie extra Harry Fielder and The Friends of Beckenham Recreation Ground. Masters of Melody profiles the light orchestras, bands and ensembles that made live or recorded radio broadcasts from BBC studios and theatres from the '30s to the '60s. 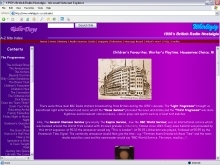 Such programmes as Music While You Work and Morning Music are featured along with profiles of the bandleaders, their musicians and the BBC's light orchestras. 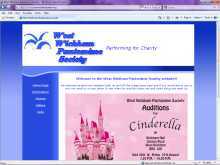 Based in West Wickham, Kent, the society have produced a pantomime in January every year since 1945. 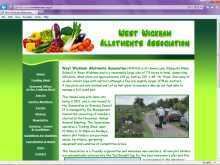 Wickham Hall is a community hall managed by a board of Trustees who generously give their time in order to keep Wickham Hall maintained to the high standard so much appreciated by the many people who use it. 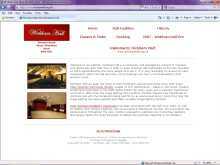 The Association is a friendly organisation and welcomes new members. Being a plot holder offers the chance to meet and make new friends, exchange ideas, enjoy the fresh air as well as enjoying the (literal!) fruits of your labours. Innellan Public Hall commonly referred to as the Village Hall has been in existence on the same site since it was built in 1902. 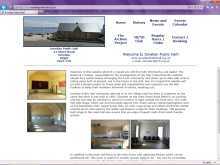 Situated on the main Shore Road there is car parking and the bus stop for services to and from Dunoon is right outside the front door. The main hall with stage, which can accommodate approx 100, hosts various clubs/organisations such as the badminton club, carpet bowls club, art club, yoga group and others during the winter months and is also used by the SWRI and Masonic Lodge for their meetings. 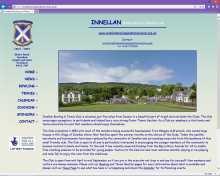 Innellan Bowling & Tennis Club is situated just five miles from Dunoon in a beautiful part of Argyll and overlooks the Clyde. The Club encourages youngsters to participate and indeed has a very strong Junior Tennis Section. As a Club our emphasis is that bowls and tennis should be fun and that members should enjoy themselves. The London Light Music Meetings Group has been formed to continue to hold the meetings which were formerly organised by the Robert Farnon Society. South Cowal Community Council collates and expresses the views of the local community and makes local authorities and other public bodies aware of the opinions, needs and preferences of the community.